For a fantastic place to visit not too far from Australian shores, look no further than the city of Auckland. It’s been voted the 3rd best place in the world to live – take a look around and you’ll soon see why. You can see some of the latest Auckland cruise deals on our New Zealand cruises page. 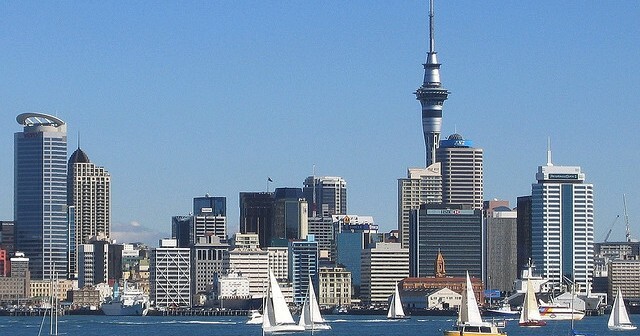 But for now, read on to find out what Auckland has to offer. 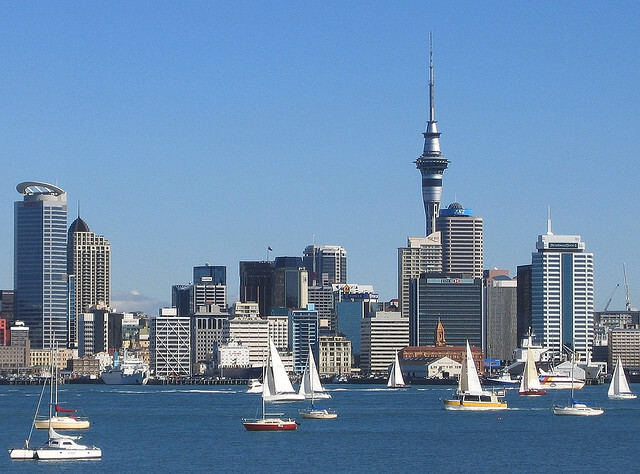 Located towards the north of New Zealand, Auckland is the largest and most populous urban area in the country. Its location makes it a perfect spot for a cruise destination. Spend just a little time in this city and you’ll see why it has been voted the 3rd best place in the world to live. It’s quiet and peaceful, with a friendly atmosphere and plenty of things to see and do. A 35-minute ferry ride from downtown Auckland will take you to Waiheke Island, which is surrounded by around 100 beautiful white-sand beaches. Its warm microclimate has made it a favourite spot for wineries and olive groves – you can even take dedicated wine tours. Even without that, it’s simply a beautiful place to visit. Viaduct Harbour in the centre of the city is another popular tourist spot. This picturesque marina is also home to more than 30 bars and restaurants. For a breathtaking 360 degree view of the city, visit the Sky Tower which reaches some 328 metres off the ground. And of course, a Hobbiton day trip will take you on a tour of the classic Lord of the Rings filming location, and The Green Dragon pub actually serves customers! Hobbits and orcs are equally welcome here. Cruise lines offering Auckland cruise deals currently include Royal Caribbean Cruises, Celebrity Cruises and P&O Cruises. We’re always updating our deals on cruises visiting Auckland and the surrounding area, so head on over to our New Zealand cruise deals page for the latest. If you can’t see something you like the look of, use the search tool to see what else is available. After setting off from Sydney, you’ll visit Fiordland National Park, Port Chalmers, Akaroa, Wellington, Napier, Tauranga, Auckland, Bay of Islands and finally back to Sydney. You’ll fly from Australia to Auckland, where you’ll stay in a hotel. You’ll then cruise onwards to Bay of Islands, Tauranga, Wellington, Akaroa, Dunedin, Dusky Sound, Doubtful Sound, Milford Sound, Hobart and Sydney. After your flight from Sydney you’ll visit Perth, where your cruise begins. You’ll then cruise to Esperance, Adelaide, Melbourne, Milford Sound, Doubtful Sound, Dusky Sound, Dunedin, Akaroa, Wellington and Picton before your return flight.